The respiratory system’s job is very simple. It has to bring oxygen into your body and move it around your body to use as fuel. It then has to expel carbon dioxide. The oxygen is used by your blood cells and the waste product is carbon dioxide. This is toxic and too much carbon dioxide can even be deadly to the body. There are two parts to the respiratory system, the upper respiratory tract and the lower respiratory tract. The upper respiratory tract includes the nose, mouth and laryngopharynx, which is the opening to the larynx. The lower respiratory tract includes the trachea, which is the windpipe which continues from the larynx. This then splits into two bronchi, which lead to each lung. The lungs themselves are part of the lower respiratory system and each is divided into a number of lobes. The left lung has two lobes while the right has three lobes. The alveoli are small air sacs which are surrounded by capillaries. The bronchi branch into smaller bronchioles and then into the smaller still alveoli. This is where the oxygen transfers from the air to the blood. The main organs in the respiratory system are the lungs. When you breathe in your diaphragm pulls your lungs down and the chest wall expands which causes air to rush in to the lungs. Your diaphragm also pushes the carbon dioxide filled air out of your lungs as it moves up and the chest wall contracts. The heart pumps blood into the walls of the lungs and this blood absorbs the oxygen from the air. The blood then travels back to the heart where it is pumped back around the body, carrying oxygen along with it. As you breathe out, or exhale, you expel the carbon dioxide from your body. How does Wegener’s Granulomatosis affect the respiratory system? Wegener’s Granulomatosis usually affects the upper respiratory tract and the lungs. Sinuses – Chronic sinus inflammation can destroy the tissues around the sinus. Trachea – The windpipe can narrow through inflammation and scarring, called subglottic stenosis, or tracheal stenosis. This can cause great difficulty breathing and could result in a tracheostomy. 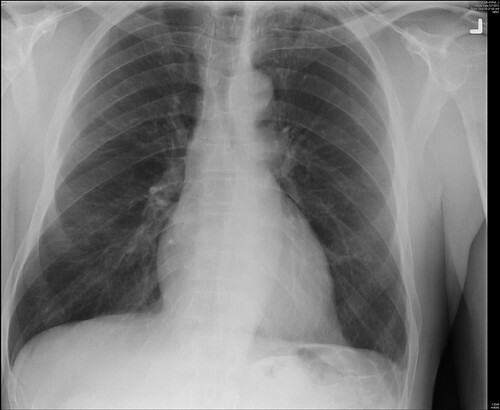 This narrowing can be treated with regular dilatations. Lungs – Lesions called granulomas can build up in the lungs and bleeding can occur. As biopsies of the upper respiratory tract are relatively non-invasive, and these are the areas most often targeted by the disease, they are often favoured as doctors try to confirm a diagnosis of Wegener’s Disease. Chronic obstructive pulmonary disease (COPD) is a common respiratory disease, otherwise known as chronic bronchitis and emphysema. It most commonly occurs in smokers. Asthma is a common chronic inflammatory condition of the upper airways which causes an obstruction so the sufferer can’t breathe. Lung cancer affects around 30,000 people in the UK every year. The peak years to get this are between 40 and 70. Pneumonia is the fifth biggest killer disease in the world. It is a lung infection which affects the lung tissue. TB (pulmonary tuberculosis) is relatively rare in the developed world but still a big killer elsewhere. Granulomas infect the lungs. Cystic Fibrosis is a hereditary disease where abnormally thick mucus is produced in the lungs. Photograph provided by kind permission of Pulmonary Pathology.